“First of all, that’s not an engagement ring,” she said. “I have two rings from this boy that likes me. That’s not my engagement ring though." Minaj, 33 insisted. 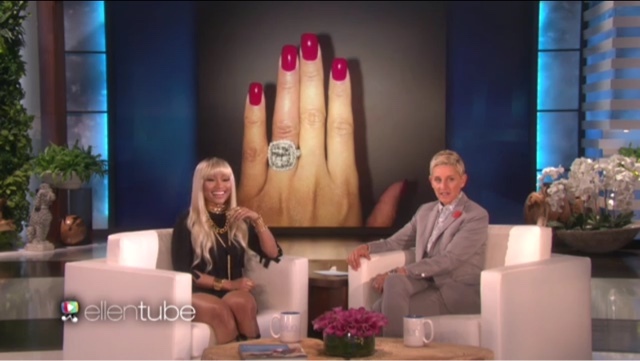 "Honestly, you know what, he and I are just two souls right now, just passing through the universe and I don't know what's going to happen," Minaj told DeGeneres. "And I've just learned over the years to just let things be and come and go as they're going to come and go."